<!-noindex-> | What’s Behind Yellow Canopy Syndrome in Sugar Cane? Professor Brajesh Singh and Dr Pankaj Trivedi are leading a team of researchers to investigate Yellow Canopy Syndrome in sugarcane. The project is supported by Sugar Research Australia Limited. The research team includes Professor Ian Anderson, Associate Professor Paul Holford, Dr Kelly Hamonts and Dr Jasmine Grinyer. Yellow Canopy Syndrome in sugarcane in a field of sugarcane (Image: Sugar Research Australia). 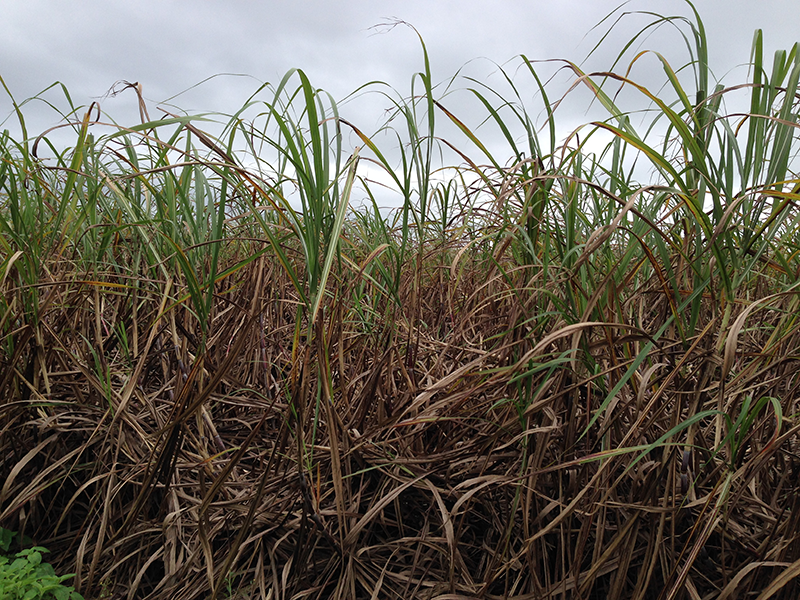 'Yellow Canopy Syndrome (YCS) is a largely undiagnosed condition recently observed in major sugarcane producing regions of Queensland,' says Professor Singh. "Within 2 years of being seen YCS has started to impact farm productivity and profitability. At present it is difficult to assess the potential economic impact of YCS on the future of the sugarcane industry as this will depend on the rate of spread to healthy tracts of cane." "Lack of knowledge on the cause of this condition is hindering development of specific diagnostic procedures and is preventing efficient control and management." "We need to take urgent measures to understand the cause, transmission and management of YCS to minimise future potential significant losses within the industry." 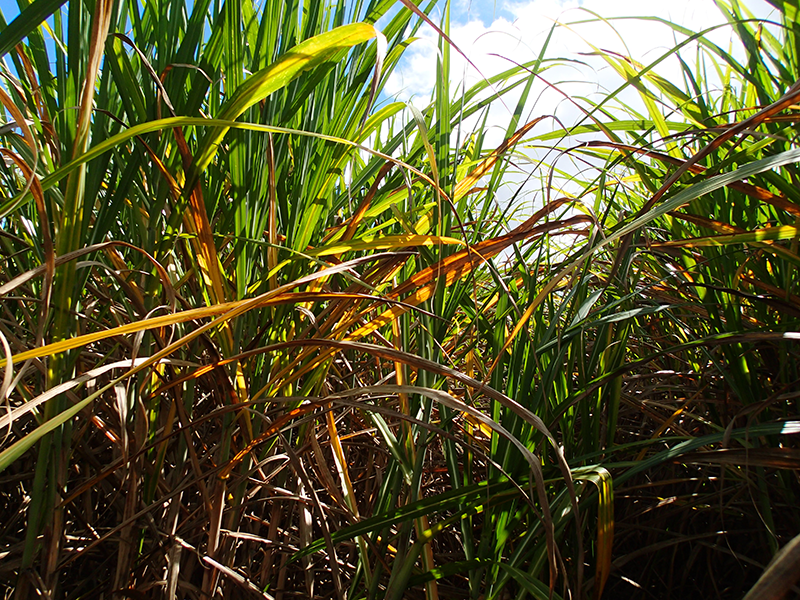 In consultation with Sugar Research Australia researchers and the sugarcane industry, this project will use a combined approach to identify the potential causal agents in YCS, focussing on genetic material, host response and soil health. Leaf, root and soil samples will be collected from affected and healthy cane in different cane producing regions under varied climate conditions, management practices and severity levels. The samples will be analysed at the HIE advanced analytical facilities to identify conditions that might predict YCS. This research aims to present the sugarcane industry with options for management decisions related to YCS or any similar condition in future, allowing sugarcane growers to manage their crops efficiently. It will provide the building blocks for a more resilient sugarcane industry, bringing substantial economic, environmental and social benefits to the industry. Growers and millers in particular will benefit from the proposed research in terms of productivity improvement and production management. Severe Yellow Cane symptoms (Image: Sugar Research Australia). This project (P00021958) "A novel Polyphasic Framework to resolve Yellow Canopy Syndrome Paradox" is funded by Sugar Research Australia (SRA).